Works Engineering Chrome-Molydenum steel wheel nuts are for racers who need extreme tensile strength to withstand the shock loads and lateral forces in racing applications. 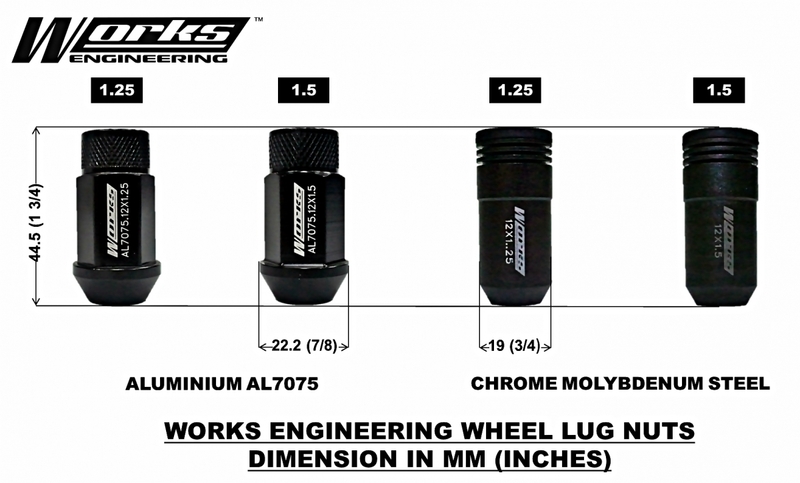 The wheel nuts are specially heat-treated, hardened and tempered to boast a 190,000 psi tensile strength, able to withstand repeating high torque impact opening and tightening by impact wrench. 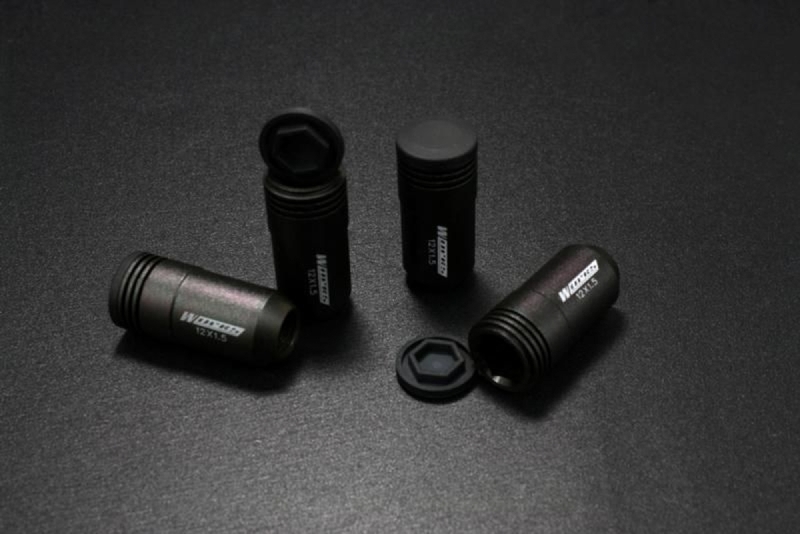 Comes in open end M12 x 1.25mm and M12 x 1.5mm thread to fit all cars.